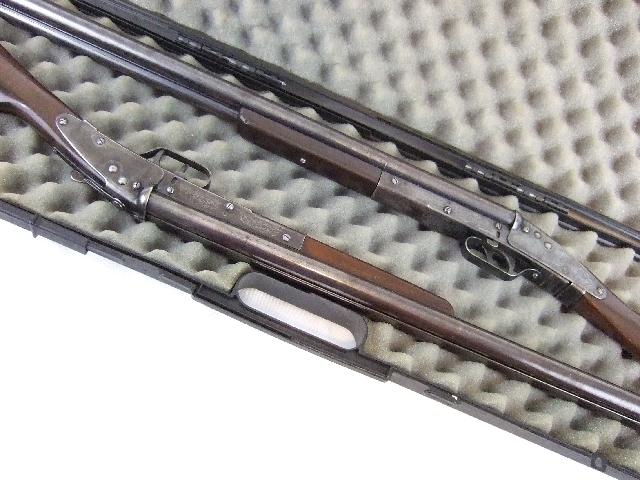 It is not often that we receive two Daisy Model 104 Double Barrel BB Guns at the same time. 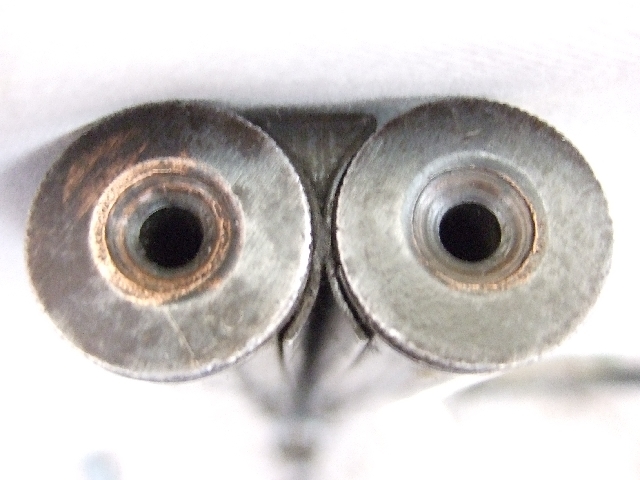 We received a call from one of our collector- customers who said he had two Daisy double barrels for sale. It did not take long to find buyers. Before these beautiful guns shipped out I thought that some of our guests would enjoy reading about them and seeing a few pictures. 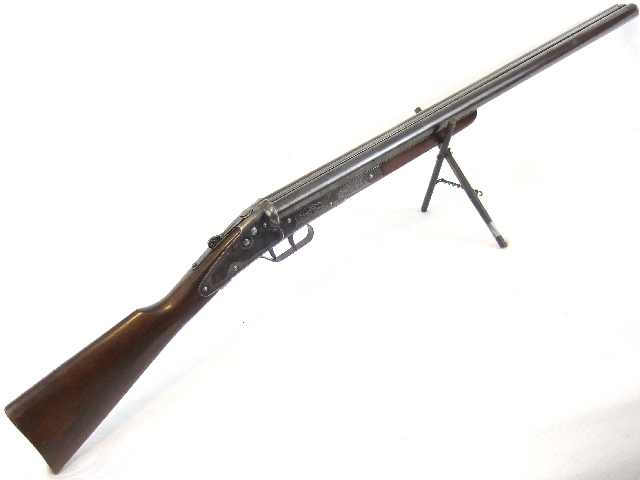 The Daisy Model 104 Double Barrel was made from 1938 to 1940. If features nicely blued metal and a hardwood stock. 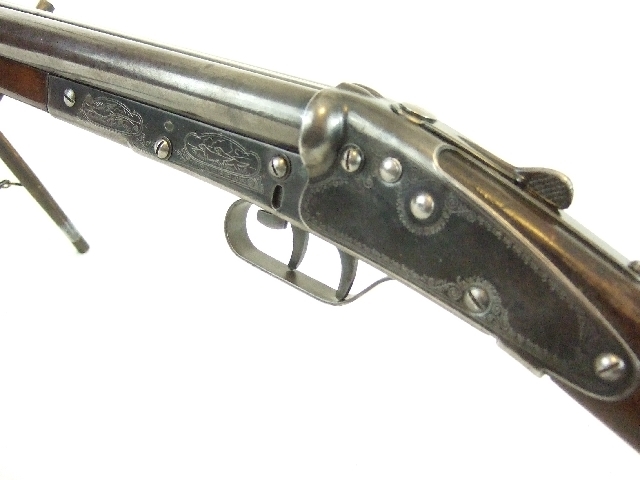 The gun has a realistic thumb latch that opens the gun for cocking just like a side lock double barrel shotgun. In fact the heft and feel of this gun is much like a 20 gauge double barrel shot gun. The Daisy 104 was is the very first Daisy to have a safety. The receiver has a small oval window that displays the word” safe” when the safety is engaged. According to Gary Garber in his fine book, Encyclopedia of Daisy Plymouth Guns, Early guns did not have this window. The shot tubes are 50 shot spring loaded magazines much like a Daisy model 25 and are marked ” L” and ” R” for unknown reasons. @Ferlin Chappel Your gun could be a Model 21 double barrel bb gun, a Model 410 pop gun or any number of toy guns made by Daisy. Do you know of any copies of Encyclopedia of Daisy Plymouth Guns? I am very interested in buying a copy. I have purchased a model 104 bouble barrel Daisy gun. I am looking for information on this gun. Your website is wonderful.